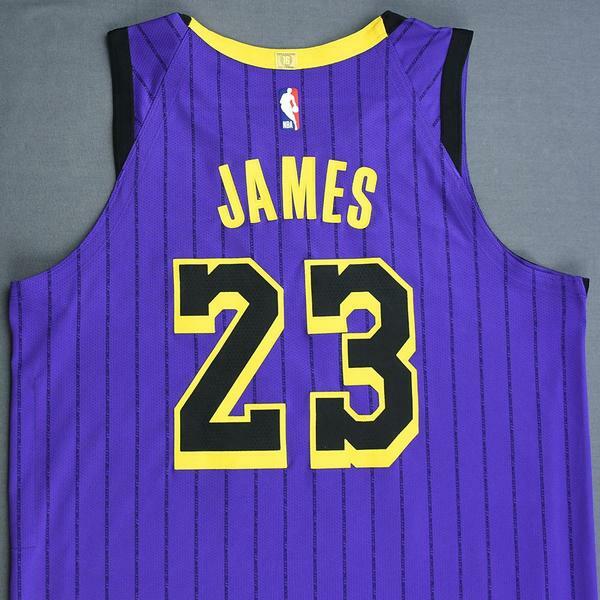 The NBA and MeiGray are proud to offer fans and collectors across the globe the opportunity to own a piece of history... a jersey worn in a game during the 2018-19 National Basketball Association regular season, by #23 LeBron James of the Los Angeles Lakers. 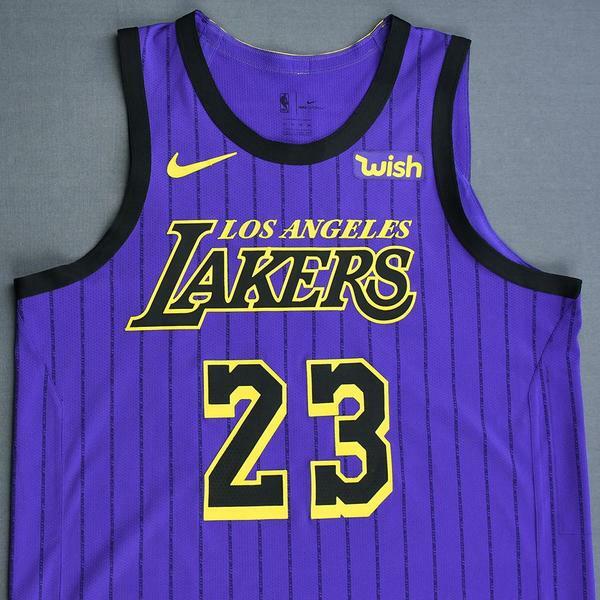 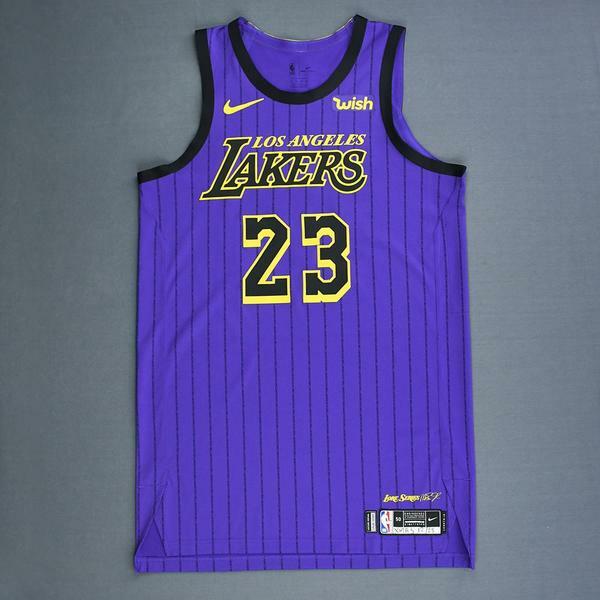 James wore this jersey during the Lakers' 112-104 victory over the New Orleans Pelicans on December 21, 2018 at STAPLES Center in Los Angeles, CA and during the Lakers' 127-101 victory over the Golden State Warriors on December 25, 2018 at ORACLE Arena in Oakland, CA. 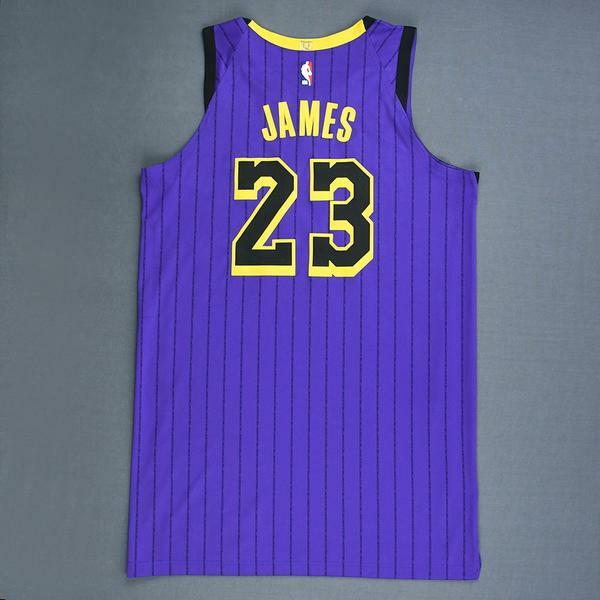 On December 21, 2018, James recorded a Triple-Double. 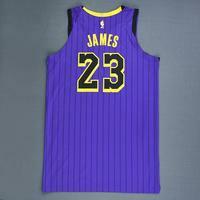 He played 38 minutes and registered 22 points with a game-high 14 assists, a team-high 12 rebounds and 2 steals. On December 25, 2018, James recorded a Double-Double. 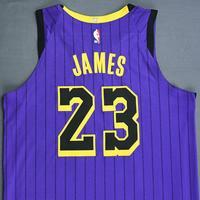 He played 21 minutes and registered 17 points with 5 assists, a game-high 13 rebounds and 1 steal. 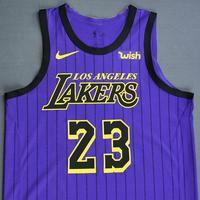 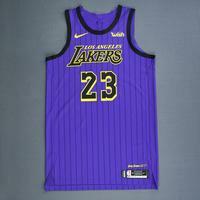 This purple jersey, a Size 50+6 inches extra length, is registered into the NBA and MeiGray Game-Worn Jersey Authentication Program as number LALW02466. 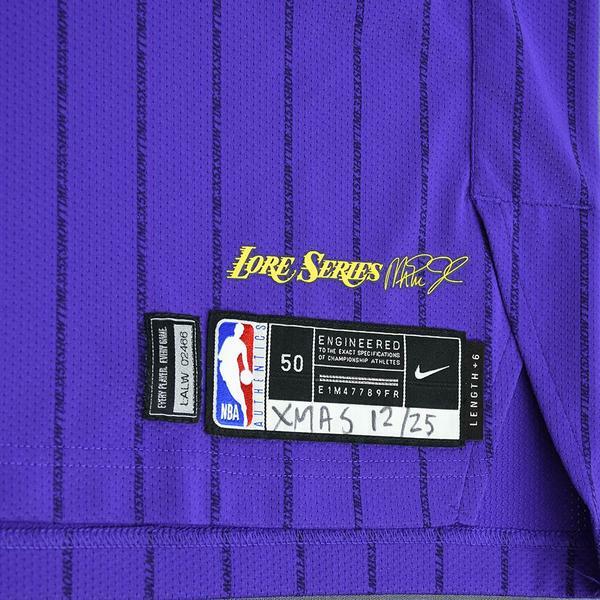 "XMAS 12/25" is handwritten on the jock tag.